Hospital – is a word, which evokes fear in many kids and they are often known to shrug from the very thought of seeing doctor for some difficulties. Doctors, parents, teachers – who are struggling to help kids to get rid of their fears can work through this custom a visit to the hospital coloring book. 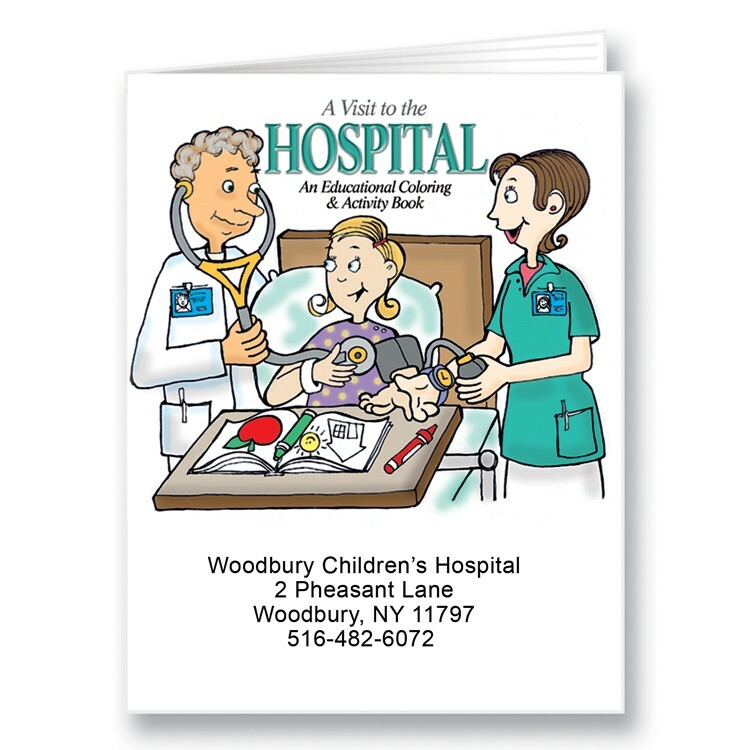 All important facets of hospital visit such as hospital visiting hours, stethoscopes, X rays, doctors, hospital meals are illustrated through 8 pages of this coloring book. 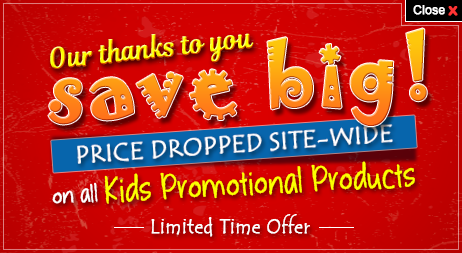 We receive orders for logoed promotional a visit to the hospital coloring books from hospitals, clinics, elementary schools, and other kids related services. 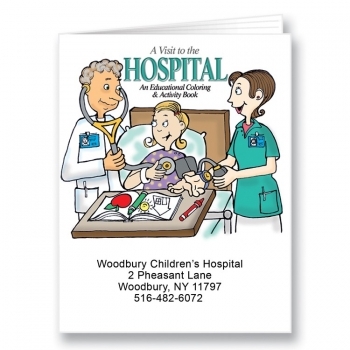 It is for sure that kids are going to preserve a personalized a visit to the hospital coloring book longer than ever because it is inspiring and educates them about healthcare. Available in 2 versions. Non toxic print. Made of 50 lb recycled paper. Product Size: 8 1/2" x 11". Imprint Area: 7 1/2" x 2". 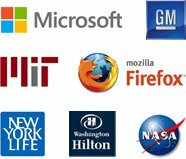 Minimum ordering quantity – 250 pieces. Glued pages.